Elegant, slender lounger Longframe - model 439 with armrests. 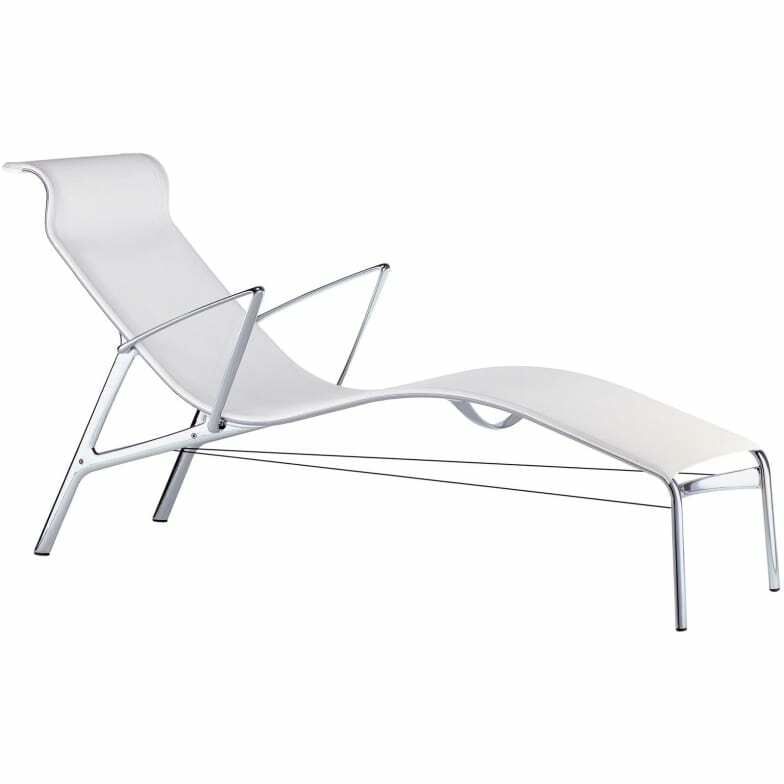 Chaise longue with arms, with structure composed of extruded aluminium profile and die-cast aluminium elements, seat and back in fire retardant PVC covered polyester mesh or in leather or in Kvadrat® fabric; black or red Kevlar bracing wire. Model 439 with armrests. Also available as chaise longue Longframe 419 without armrests and as outdoor model Longframe Outdoor. Do you have a question about "Longframe 439"? How can we contact you?